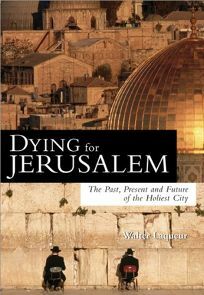 A quasi-memoir of his time spent living and working in Jerusalem, Laquer's volume exploits the author's experiences and relationships with key figures in Jerusalem's history (Eliezer Sukenik, Golda Meir, Richard Kauffman, Gershom Scholem, Mordechai Shenhabi) as the starting points for several discussions and reminiscences of the people, events, trends and movements that shape Jerusalem. Laquer, a know-it-all without the pretense, is clearly conflicted: the writing has a cathartic element to it, as the author laments the economic plight of the city, ""the exodus of the young, secular, and enterprising among the population,"" the increasingly ultraorthodox culture of the city and the diminishing hope for compromise between Jerusalem's Jews and Muslims, while confessing his undying feelings for the place. From the ""second religion"" of archaeology among Palestinians and Israelis to the distinctive architecture of the city's neighborhoods to the first contact of well-established Palestinian Arabs with newly arrived Ashkenazi Zionist immigrants, Laquer's account creates a remarkable sense of time and place-a worthwhile read for anyone interested in knowing more intimately the city and its history.